Toasters tend to be rather stationary devices: you find a place for one on the counter, and then just let it be. 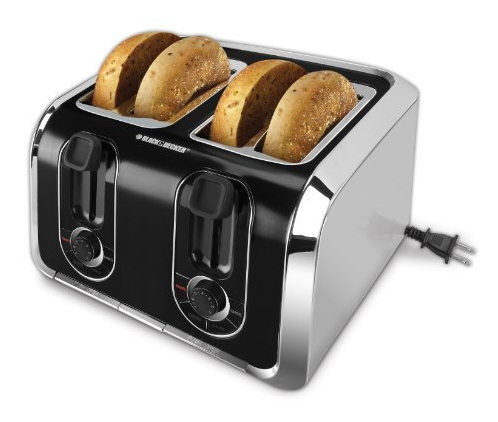 Features that are more often seen in the more mobile of appliances rarely make it to the toaster. Appliances like food processors and blenders are the appliances that generally benefit from space-saving features like retractable power cords; when stored in the cupboard the power cords don’t get in the way. Toasters however, this doesn’t come into play as much. But that doesn’t mean that the retractable cord toaster doesn’t exist. 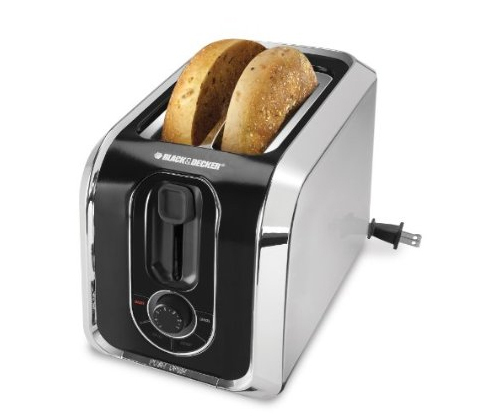 The Black & Decker TR1400SB 4-Slice Stainless Steel Toaster with Retractable Cord offers clean lines, modern sensibilities, and a tidy appearance. With two independent controls and a bagel setting, the stylish stainless-steel design looks good on the countertop. Even toaster owners who don’t plan on shuffling their toaster on and off the counter will appreciate it when tangled knots of cords are kept to a minimum. Also available as a 2-Slice model .